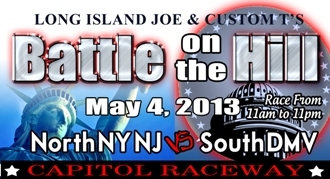 you to all the racers and fans that attended the Battle on the Hill race at Capitol Raceway on Saturday, May 4, 2013. Because of you it was a great sucesss. The attendance at this race was amazing. It was standing room only in the stands and in the staging lanes. We look forward to sharing more photos and stories in the coming week. the racers all agreed to split the purse 3 ways. Making it a 3-way all "Brother" Split. 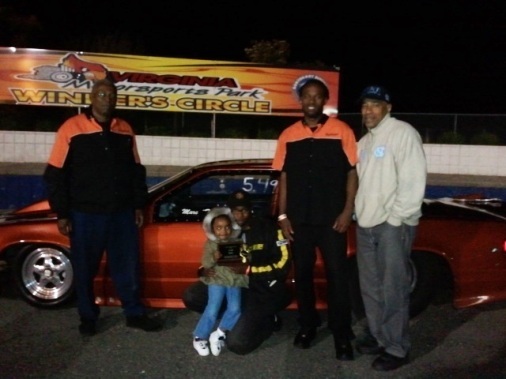 We Congratulate Lamont, Bobby , E-Man and their teams on a great race ! ! ! Shayne Proctor , after coming off a win at the MIROCK race at Maryland Intl Raceway. Shayne goes to the Winner's Circle at Sumerduck on Sunday, May 5, 2013.
towards another Quarter Mile Brother of the Year award. 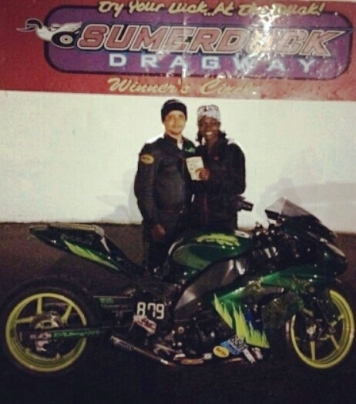 We Congratulate Shayne and the Mobile Lab Racing Team on another final round victory. was in the final last Sunday, April 28, 2013. Making this a back to back final for him. We Congratulate Nardi on outstanding Win . 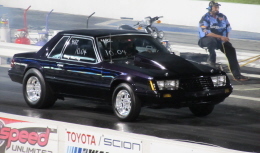 Maryland International Raceway on Sunday, May 5, 2013. We Congratulate Tony on his Runner-up Win. John "JD" Douglas Jr. gets down to the last 3 cars in Top Eliminator at Capitol Raceway on Sunday, May 5, 2013. Making his him the "Last Brother Standing" in Top Eliminator. We Congratulate JD for going to the Semi-Finals and for being the "Last Brother Standing". 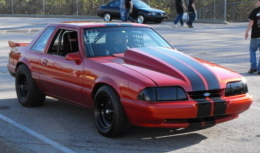 Sunday, May 5, 103 at the NMRA Ford Event held at Maryland International Raceway. Earning him the title of "Last Brother Standing" in Mod Eliminator. We Congratulate Darrell for being the "Last Brother Standing." at Virginia Motorsports Park. Giving Marc a record of 2 for 2 in the 5.49 class at Ladies Night. We Congratulate Marc on another great win ! ! ! 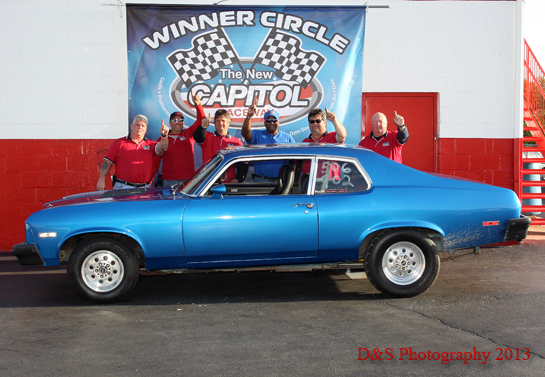 for collecting the above profiles during the Battle on Hill Race at Capitol Raceway.